doing early in the morning...... Lukka's ideal, relaxing, magical day in Summer is a journey down the Russian River between Healdsburg’s Memorial Bridge and Wohler Bridge - an undeveloped, eight mile stretch of clean river that boasts some of the most exquisite and diverse landscapes in Sonoma County. It's an easy paddle which rewards you with face time with herons, ospreys, turtles, egrets, and Lloyd the bald eagle who lives just after mile 2. Last week Lukka clocked 55 miles! Mondays are reserved for taking groups down the river (whoever shows up) with large coolers filled with copious amounts of delicious food and drink. 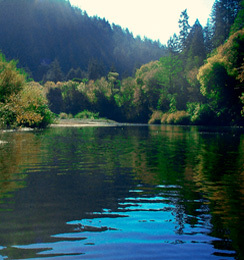 Russian River Adventures SOAR canoes are inflatable, more stable, and extremely comfortable for lounging . . and owners Larry and Amanda will pick you up at the end of your journey, take care of the boats, and return you safely and most contentedly back to your car! inspired by... We have more and more vegetarians dining at Barndiva, along with vegans and gluten sensitive guests. It's a misnomer to think that just because you eliminate proteins you lose a discerning palate or the desire for creative options when you dine out. 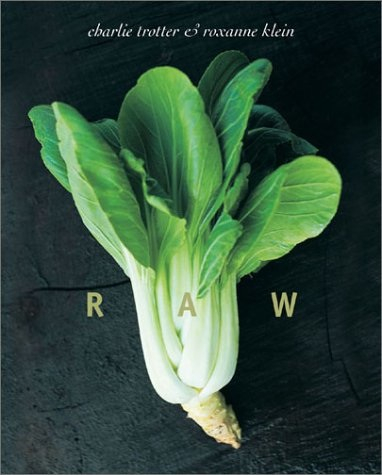 Ryan is loving re-visiting the vegan cookbook Raw, right now, because of the amazing array of color on every plate. Always a firm believer that people eat with their eyes first, color is a key trigger for him ~ whenever we get new art in the gallery he is immediately drawn to the most vibrant work. Now that summer is finally here he is looking forward to maximizing flavor without heat. "The images for these recipes remind us what bright and fresh looks like. 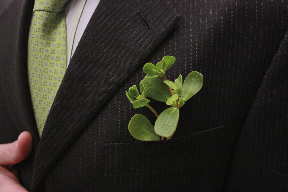 They celebrate in every 'sense' that vegetables are still alive when they reach your plate." pouring... After this rainy spring we are all ready to enjoy some crisp, lean Italian white wines while basking in the late afternoon sun in the gardens. Tommy has snagged us a few cases of Orvieto "Terra Vineate" from Palazzone, which has everything one would expect from great Central and Northern Italy whites: bracing acidity and minerality coupled with a subtle extra layer of opulence and glycerin. Palazzone produces inexpensive yet highly sought after blends of Umbria's indigenous varietals (Procanico, Verdello, Grechetto, Drupeggio and Malvasia Toscana) the very same ones used to make wine centuries ago by the Ancient Romans and still coveted for their remarkable golden hues and intense flavours. The traditional Cepage is unique in that Palazzone includes a high percentage of Grechetto and Procanico which gives the wine an interesting note of hazelnut oil as well as distinct spiciness. The best part for last: Organically farmed, hand harvested, indigenous yeast fermentation, bottled unfined and unfiltered...and only $10 by the glass in the Lounge. mixing up... On Wed we hosted a small mixer, one of several Barndiva will be throwing over the summer to say thank you to wineries, concierges, and wedding planners that have supported us. It was a great time to kick start our summer cocktails. 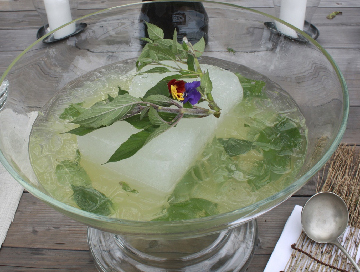 New bartender Stephan came up with a wonderful libation for the coupe using pineapple sage from the gardens which we bought a few seasons back at one of Occidental Arts and Ecology Center's plant sales. He paired it with lashing of gin, sparkling water, yellow chartuse and St. Germain. For a peek at our specialty cocktails, check out our cocktail menu...but you better hurry as it's about to change again as more summer soft fruit starts to ripen. doing with our kids... 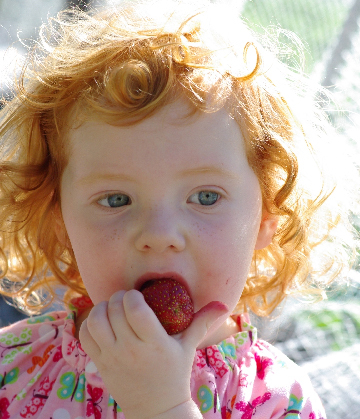 When 2 year old Teagan isn't searching for the perfect spot to go berry picking in Sonoma County, she's heading North this week to Portland. This summer's trip is to cheer on the kids from Girls Rock Camp. Her aunt, Marisa Anderson, is the Creative Director for this program which runs throughout the summer and teaches girls (ages 8-17) how to form bands, write original songs and play instruments. This spectacular program started in Portland, but now offers camps throughout the US and Europe. jamming... Turns out our bartender Sam Levy not only has a jones for jam but an incredible talent for making it as well! He will be working with Jil and Chef Ryan all summer as we buy up slightly soft or less than perfect fruit to wave our hot wand over. Voila, come winter we will still be eating peaches, apricots, berries...summer fruit! 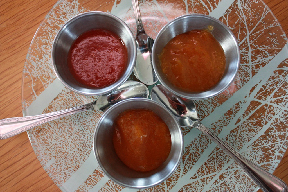 When apricots from Coombs Ranch showed up this week (with just a little frost damage but great flavor) Sam got busy and came up with a smooth chutney with a hint of brandy, fresh ginger, and allspice ~ perfect to serve with our Artisan Platters. He is also working on a jam for Sunday Brunch with vanilla bean and carmelized Meyer lemon rind, and a cherry jelly which uses apricot and peach juice. Sam caught the jamming bug from his mum, who caught it from hers. At their house some days they have three generations going strong, using fruit from their own trees. We are thrilled to have a jam fanatic in the house this summer. 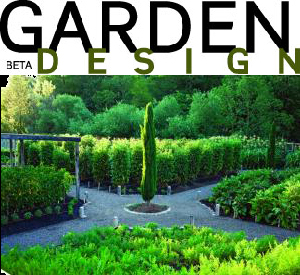 proud to see in print... Great article in this month's Garden Design Magazine which features our own Mick Kopetsky and our great friend Bieke Burwell. Mick, who owns Mix Gardens with Bieke, is one of Barndiva's main vegetable suppliers and a dedicated Fork & Shovel member. He also recently took over Healdsburg Landscape Materials down the road which supplies many of us with great soil mixes and river rock ~ We know this because we just finished spreading about 12 yards in the new Studio Gardens. Great to see his accomplishments in print. We are thrilled his muse Bieke is back from London for the summer.